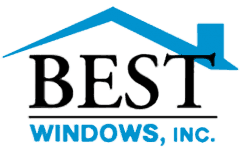 Chicago Tax Credit Windows - Best Windows Inc.
My name is John Wrzesinski, President of Best Windows Inc. I have installed over 15,000 windows without complaint. People just like you have decided to trust me and because I have a lower overhead the savings are passed on to you! I am proud to say I work out of my home. It’s just common sense; did you go to a show room, then why pay for one or put up with some phony high pressure tonight only price sales pitch that just insults your intelligence? Best Windows will only show you very high quality windows. Best Windows is a proud member of the Better Business Bureau with a perfect zero complaint history February 2007 thru today with an A+ rating. We have received the Angie’s List Super Service Award for 2011 & 2012. Best Windows provides and will expertly install your windows at the guaranteed most affordable value you will find in all of Chicago land by installers with over fifteen years experience. We are licensed, fully insured and bonded. Best Windows will never offer a phony sale like buy one get one free or offer to waive your sales tax. We won’t require your spouse to be present. We will never use high pressure tactics like “today only” pricing and long drawn out sales pitches. We will never quote a very high price at the beginning and then lower it drastically if you tell us you need to think about it. . Best Windows will get to the point fast because we know your time is very valuable and we respect the privilege of being allowed into your home. Best Windows will always be ready for your business. I have had the same phone number for over fifteen years. 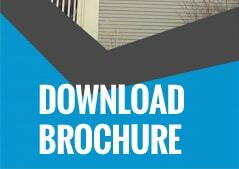 Best Windows will pay you $100 for every referral who purchases at least five windows from us. They will thank you for sending them to Best Windows and saving them time, money and aggravation. We at Best Windows stand by this promise. Let us show you what it’s like to do business with the Best! Price is what you pay. Value is what you get. We are the Best Value as your common sense will confirm.